We just love it when vegans come into the shop for the first time and can't believe the amount of yummy vegan food we stock. All our bread and cakes are vegan, as is our range of hot savoury Pennine Pasties made by Jane Crawford, plus a wide range of stuff in the deli like the Violife and Sheese cheeses, tofus, sausages, pates and the veggy haggis and black pudding. We also have a good selection of non-dairy milks, and lots of nuts and seeds, which we often buy in bulk and bag up ourselves, and which are excellent value. 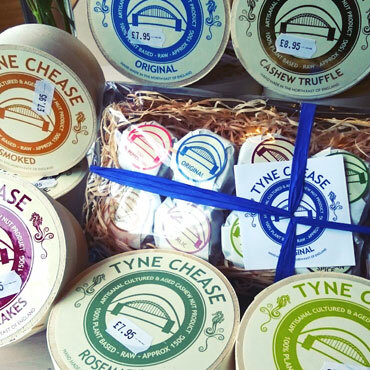 We now stock the excellent Tyne Chease artisan vegan (dairy-free) cheese. Although more expensive than other cheeses (£7.00 to £8.95), this is in our opinion the best vegan cheese on the market  one that can hold its own on even the smartest cheeseboards. 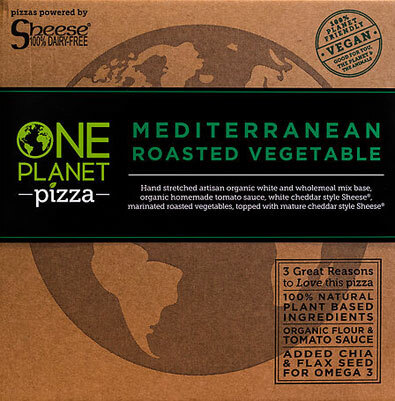 We also stock the amazing and award-winning One Planet Pizza  the UK's first frozen vegan pizza company owned by the community it serves. 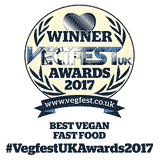 All pizzas are 100% plant based/vegan, and are hand-made with organic locally sourced flour and tomato sauce. They feature 100% dairy-free Cheddar-style Sheese, and have added flax seed and chia seeds for Omega 3 and other health benefits. Oumph! is amazing stuff. Made from soya beans with lots of tasty spices, it has a climate impact so low that you can eat it every day. 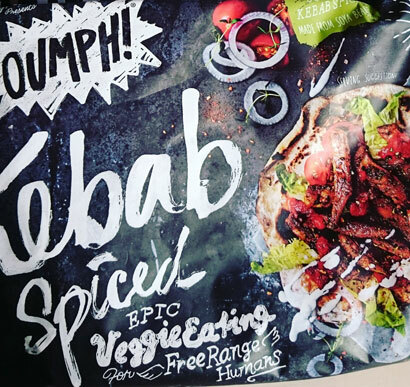 Available frozen, it is easy to cook, and can be added to all sorts of dishes - including fabulous vegan kebabs for eating with coleslaw and pitta bread. 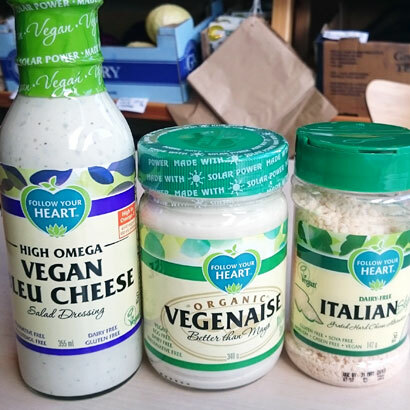 We now stock the award-winning Follow Your Heart vegan cheeses and 'Vegenaise' salad dressings - including the fantastic new blue cheese and parmesan varieties. These are gluten-, dairy- and egg-free, and are certified Kosher Parve. The mayonnaise is creamy and delicious in coleslaw with your favourite vegan kebab! We stock authentic healthy vegan curries in the freezer from Chef Akila. 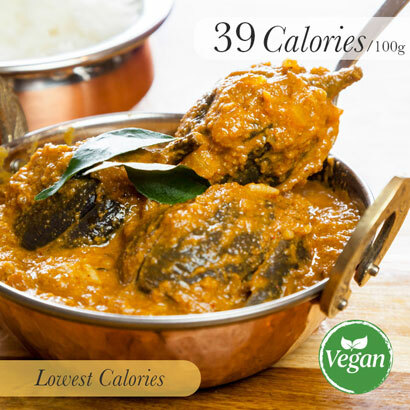 These gourmet curries are locally made with excellent ingredients and less salt, sugar and fat (and therefore fewer calories) than other curries. Feedback after tastings has been superb. Eleanor and Jo, for example, told us: "It was absolutely delicious... a perfect blend of spices... such flavour... mouthwateringly wonderful and healthy too... they really are a delicious treat." We have the Chef Akila menu on the counter and customers who order online and use 'Sally' as a discount code will get 10% off!